A TV sportscaster contacted me one month into a two-year contract with a new employer. Things weren’t working out as he anticipated; He wanted out. What do you do when you are contractually obligated to be someplace you don’t want to be? If you are just into your contract, your employer might prefer to release you from your contract than to keep an unhappy employee around for another 23 months. It might cost you several thousand dollars, but what price do you put on your happiness? If you can’t get out, address the reason for your unhappiness. Offer to do something helpful for him that is beyond your position description. Learn a little bit about something that is of interest to them, then ask them about it. You’ll be surprised at how quickly taking a personal interest in them will turn them from foe to friend. If it’s more than one person you aren’t getting along with, the problem might be you. Take a look at how you are handling your inter-office relationships and see what you can do differently. Those feelings will be minimized once you find your daily routines at work and at home. Skype and FaceTime will help a ton, too. You aren’t the first person to move far from home. Nobody has died from it yet. Weather is seasonal. It will change. 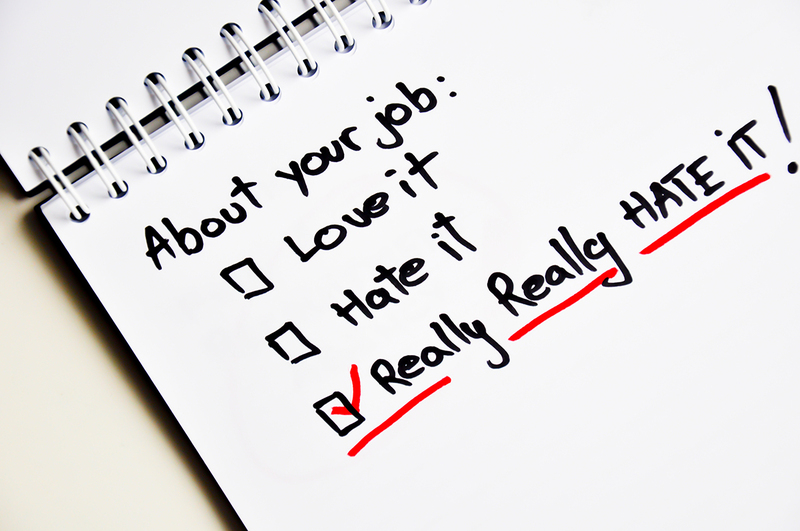 Whatever it is that has you unhappy at work, remember that it isn’t permanent. You aren’t obligated to stay anywhere forever. In the meantime, take advantage of the opportunities your employer is giving you to hone your craft and build your resume. They are paying you to prepare yourself for your next job. Getting paid to grow both personally and professionally is a pretty good deal.